You can swim again at Martin County beaches. According to the Martin County Beach Hotline, all Martin County lifeguarded-beaches were open for business as of Monday morning. The county said double red flags will be displayed if any beaches need to be closed for swimming. 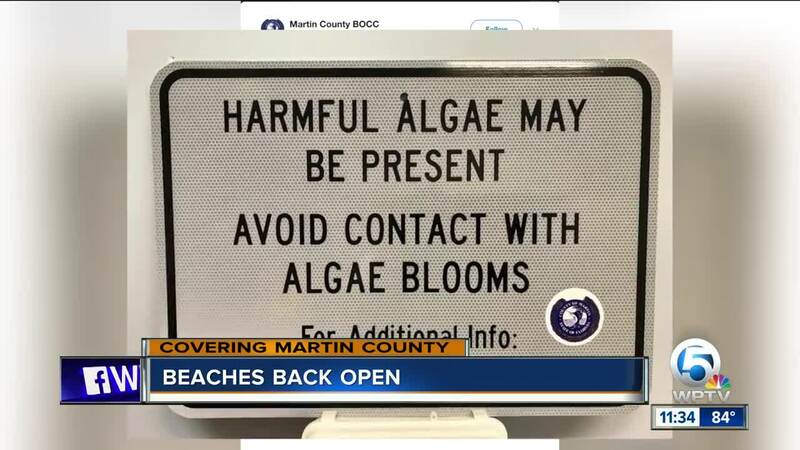 The discovery of blue-green algae in the water caused the recent closure of some beaches to swimmers. The blue-green algal sample at Bathtub Beach was determined to be slightly toxic. The results were posted on the Department of Environmental Protection's website.